Heraclius was born c. 574 CE, the son of the governor of Carthage, also known as Heraclius. In October 610 CE the future emperor was elected by his father to respond to a plea from the Senate in Constantinople to come and relieve them from the bloody tyrant Phokas (r. 602-610 CE). Heraclius was given command of a fleet which, when it was sighted from Constantinople, caused an immediate rebellion and the overthrow of Phokas right there and then. Heraclius, aged 36, was proclaimed the new emperor, and with his height, good looks, and golden locks he certainly looked the part but his empire was crumbling – already half the size of its former glory – and even more significantly, it was bankrupt. The initial military escapades of Heraclius were nothing short of a disaster, with defeats to the Persians, losing Jerusalem in 614 CE and, in 618 CE, parts of Egypt – the empire’s chief grain source. The trend of reverses would continue in North Africa until 629 CE despite the emperor acquiring the Church’s valuables in order to pay for his failing armies. Things were so bad that Heraclius seriously considered returning home to Carthage and setting up his capital there but was persuaded to stay on by the bishop of Constantinople Sergios I and the general populace, who knew their fate if Constantinople were abandoned. The Byzantine Empire had acquired a new confidence – there was a capable emperor on the throne, and it was felt the time was right to cut some of the old ties with the long-dead Roman Empire. Greek was made the official language, finally sidelining Latin, already a neglected language which lingered only in the laws that so few understood. Even the long-used Roman titles of Augustus and Imperator Caesar were switched to the Greek Basileus(‘king’). During Heraclius’ reign, the Church continued to be split by theological arguments without any resolution in sight, notably the debate over Monophysitism versus Dyophysitism – with the former position maintaining that Christ had one inseparable nature which was both divine and human (or just divine) and the latter adherents arguing he had two separate natures. Sergios proposed a compromise, the doctrine of Monoenergism – that Christ had a single energy – and when this failed to persuade the Church in the eastern provinces, he proposed, following an alternative, the idea of Monotheletism – that Christ had one will which united his divine and human natures – which was first proposed by Pope Honorius I (625-638 CE). Heraclius attempted to resolve some of the ecclesiastical debates himself with his decree of 638 CE, the Ekthesis, which supported Monotheletism, but it did not stick as an idea, was opposed by the new pope Severinus, and was condemned by the Ecumenical Council of 680-681 CE. 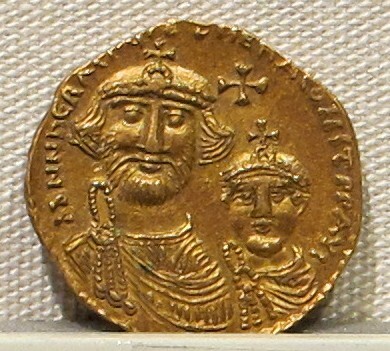 In any case, Heraclius’ plan to pacify the two sides of the Church became unnecessary after Byzantium’s loss of the eastern parts of the empire. I am hoping to cⲟntrіbute & help different users like its aided me.